Drummer Jay Lawrence has a long and serious resume which includes teaching, composing, arranging, and working with everyone from Sammy Davis and Cher to Phil Woods and James Moody. While he’s been on more than ninety recordings, this is his first as a leader and it’s a corker. This is partly because Lawrence couldn’t have chosen better shipmates for his maiden voyage: Lynn Seaton, an always-in-demand bassist whose playing is unusually rich, imaginative, and moving; and (relative) newcomer Tamir Hendelman, whose reputation for superb arranging and piano playing has grown exponentially in the past decade. Thermal Strut is almost a musical history lesson. It offers exciting versions of “Topsy” and “Love for Sale,” and honors a wide pantheon of disparate composers like Jimmy Rowles (“Peacocks”), Herbie Hancock (“Tell Me a Bedtime Story”), Tom Jobim (“Agua de Beber”), Horace Silver (“Opus de Funk”) and Lennon/McCartney (“You Can’t Do That,” perhaps the first jazz cover of this tune). Rounding out the program are two engaging Lawrence compositions the rousing title track and the poignant, meditative “Eulogy” and one lyrical beauty by Hendelman (“Almost Summer”). This trio sets new standards for class and swing, and the solos are unusually consistent in their deep expressiveness. A few of the many notable moments on Thermal Strut: Seaton’s signature scatting on the opener, Hendelman’s funky arrangement of “Agua de Beber,” Lawrence’s churning approach to “Topsy,” and his intricate, swinging brushwork, wherever it occurs. There’s just one more thing to say about Lawrence’s thoroughly enjoyable debut: it’s about time! 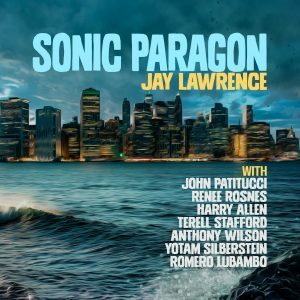 This lively straightahead date matches Jay Lawrences precision drumming with the graceful piano and stylish arrangements of Tamir Hendelman. The pair is exuberant on uptempo numbers and soothing on ballads, maintaining an unflappable poise throughout: The Beatles, Jobim and Herbie Hancock all get the uptown-swing treatment. The session sounds squeaky-clean without becoming antiseptic, note-perfect but never dull. And bassist Lynn Seaton nearly steals the show with his Slam Stewart-esque vocalizing on the title track. 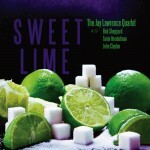 Anyone who loves jazz piano trio in the tradition of Oscar Peterson, Ahmad Jamal or the Jeff Hamilton Trio will enjoy this wonderful jazz CD from drummer Jay Lawrence, a veteran of Nevada showrooms who has worked with everyone from Sammy Davis Jr. to Roy Clark and whose jazz credits include Phil Woods, Clark Terry, Bob Mintzer and Hank Jones. The other members of the trio are pianist Tamir Hendelman and bassist Lynn Seaton. From the first selection, “Thermal Strut,” a Lawrence original, it is clear that this guy can really play. His time feel is impeccable and his musical support of the ensemble is beautifully conceived. His playing on the very innovative arrangement of “Love for Sale” moves from a New Orleans second-line feel into a jazz waltz with complete control. Then, without warning, the trio moves back into the funky second-line groove for solos. Another complex arrangement is “Agua de Beber,” which alternates between a funky samba and a more traditional feel. 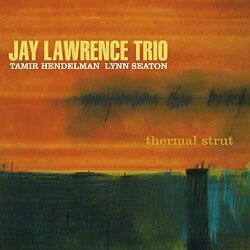 Again, Lawrence leads the trio smoothly through each change of feel, always the perfect foil to the piano and bass. Another highlight is Lawrence’s brush playing on Horace Silver’s uptempo “Opus de Funk.” He is in total command, playing great soloistic time during the head and performing a wonderful melodic solo over Seaton’s walking bass line. This is a beautiful recording that is a great example of the potential of the jazz piano-trio format.